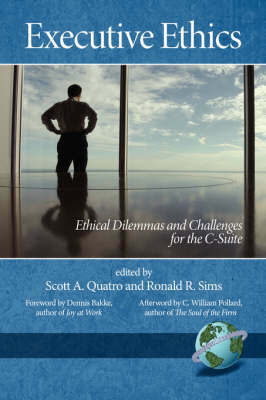 Scott Quatro and Ronald Sims have put together an impressive group of experts that delve into the essential elements of C-suite leadership; especially, ethics-driven leadership. The book reminds us that the "bottom line" is more complicated now. Profits are only part of the equation. The post Sarbanes- Oxley era requires more than ethics-related compliance. It calls for the creation of an ethics- driven ethos as well. This book begins the dialogue toward such an ethos. This timely volume is unified in its collective voice, but uniquely diverse in its independent voices, as it draws on the wisdom and experiences of twenty-nine different contributors from both industry and the academy. This book will also help you understand how organizations can maximize the fun, effectiveness, and experienced meaningfulness of the people who work there. The fundamentals are simple and easy to understand. Unfortunately, few C-suite leaders can bring themselves to lead consistently following these fundamentals. An ethical organizational leader must continuously remind the organization why the organization exists, and why what it does is important. People will not work with energy, engagement, and consistency without a purpose they intensely believe is worthwhile. Leaders must continually find ways to articulate the importance of individual peoples' efforts toward that end.